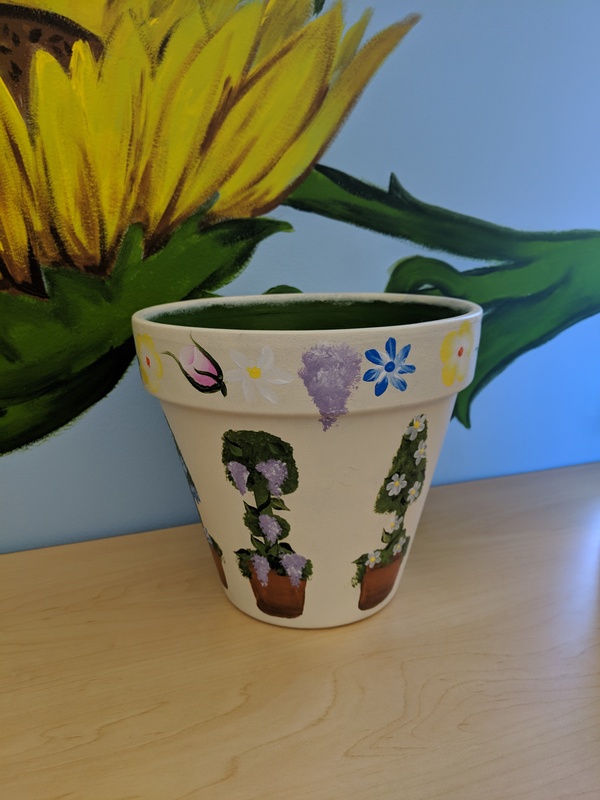 In this Crafty Capers class, we’ll be painting floral decorations on a terra cotta flowerpot, with the help of Linda Selbert. Ramp up your flower display on your front stoop or enjoy a delightfully different plant arrangement in your house with this painted pot. You’re only limited by your creativity! There’s an $8.00 supply fee, payable at the class, which is made possible through a grant from the Friends of the Macedon Public Library. Please let us know if you’ll be attending by adding your name to the sign-up sheet at the library, or giving us a call at 315-986-5932.